As we all know, the sun is a fickle player in good old Blighty, so that means as soon as it makes an appearance….quick! you’ve got to get your summer threads on in a jiffy! But if you’re peering into your wardrobe with dismay at the same old summer clothes you’ve been wheeling out every year, good news! because MandM Direct have a truck load of gorgeous summer goodies at seriously low prices making it the perfect place to shop for a quick summer update. So I’ve teamed up with them for a little carefree summer style inspo. 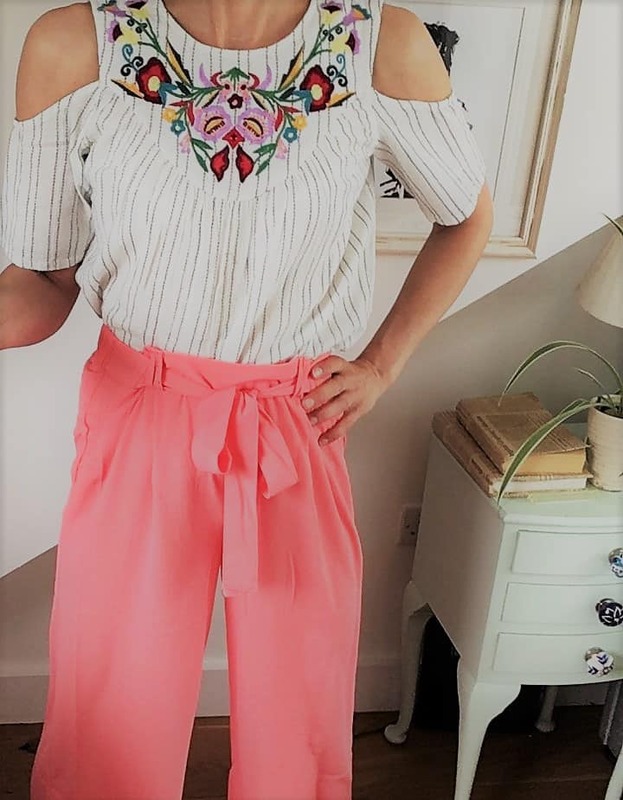 The cut out trend is still big news for this season….I have to admit that I’ve been shying away from this one until now….but paired up with this gorgeous peasant top which is incredibly easy to wear and forgiving, this is THE top to make it work. Culottes are also high on the style stakes right now…don’t be bashful…the ones I’m wearing are actually incredibly easy to wear and could even be teamed up with a statement tee. Extra brownie points for the coral pink which is hot to trot this season. And if you’re scratching your head wondering how to rock the lace vibe (as I have been), then these shoes are a perfect nod to that. So what do you think about this summer outfit? It is something you could see yourself in? Do share in a comment below. *This post is in collaboration with MandM Direct. All opinions are my own. Next Should you pay for additional antenatal scans during pregnancy? Love love the top! Very chic and trendy! I love the top. It’s really lovely. 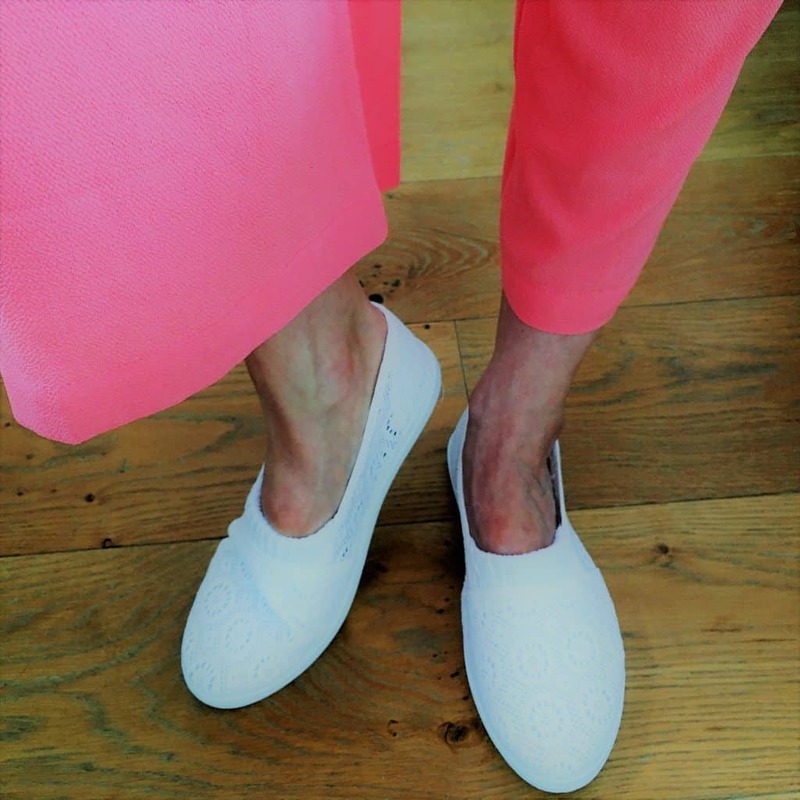 I don’t think I’d brave pink cropped trousers and white shoes though as they’d soon look a mess on me. I’ve had my new summer clothes for about 6 weeks now and I’m still in my winter clothes. Where is our nice weather? 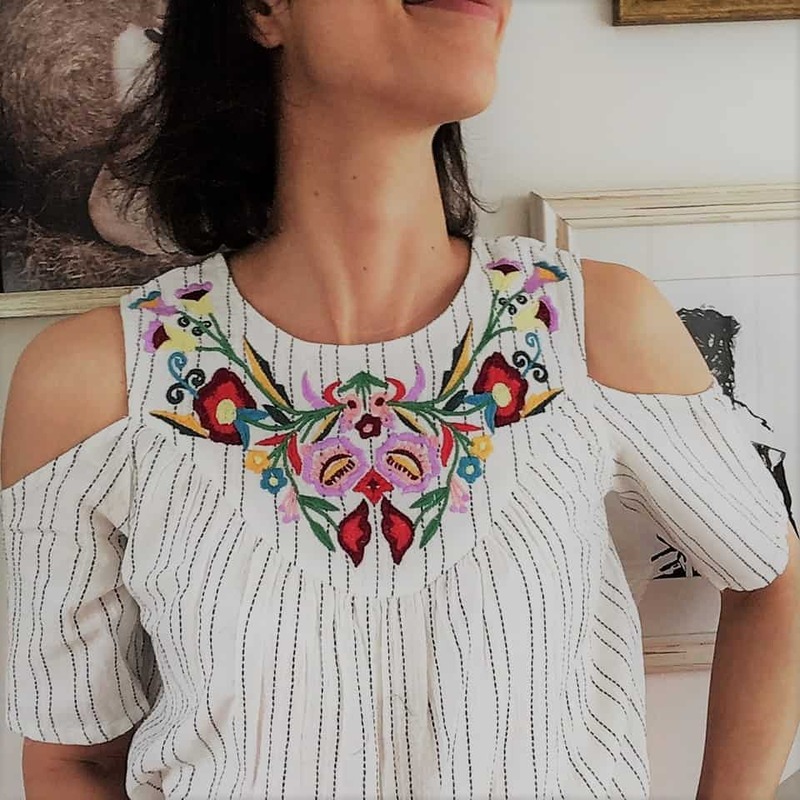 I love peasant tops for summer! That one is gorgeous on you. Love the top, white shoes would be fab in the sun but it has been raining all day 🙁 come on summer! That’s gorgeous stuff. I love cold shoulder tops, and this one looks workable and practical too, as well as pretty. Loving the colour of the trousers too. I’d love to cover this for my next summer wardrobe post, may try to get in touch. Great pics.